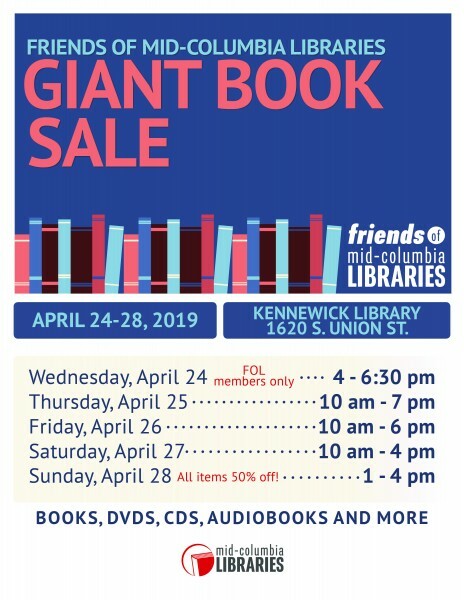 Friends of Mid-Columbia Libraries hosts its semi-annual Giant Book Sale April 24-28, 2019 at the Kennewick library. We've added an additional full day this year! Friends members get early access on Wednesday, April 24 from 4 to 6:30 pm. The cost of a Friends membership is $5 a year, and new members can sign up at the door or online!